Friends, I am so excited to share this special sale with you today! One of my favorite artists, Katherine Sandoz, is offering my readers 50% off any original work in her shop right now. 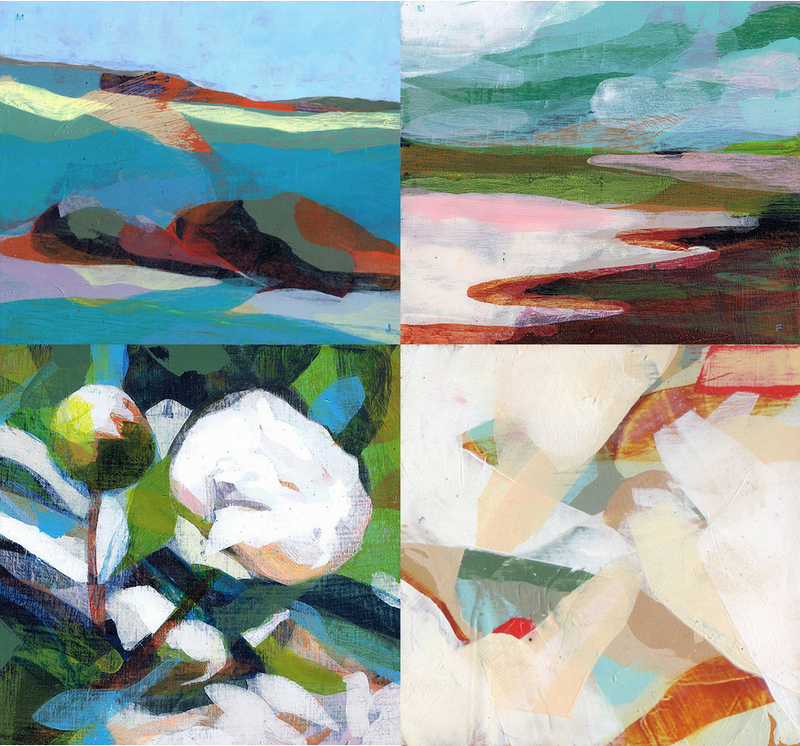 As you may know, I am a huge fan of her abstract landscapes (one of which was featured on Design*Sponge this week), and the beautiful scenes and color palettes they reflect. They are all just lovely. Friends, please use code "50%MODO" upon checkout to take advantage of this special discount. Enjoy! this is sensational. thanks so much for sharing! i just bought two pieces and am stalking basically the rest of them ;p! Celia, that is wonderful news! You will love them I am sure. Have a great week!